Year 2015 has been a roller coaster for the Bitcoin gambling industry. While it is clearly not the time for this market to go mainstream, most of the developments and changes that took place for the past months all point to a positive future as the year 2016 begins in a few days. 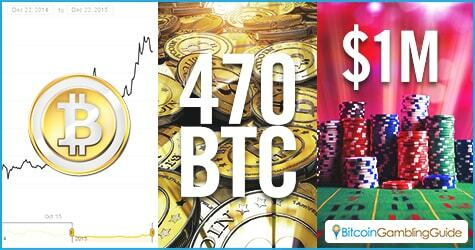 Gearing up for a better year ahead, it is time to look back at the notable moments in the Bitcoin ecosystem that help define the state of Bitcoin gambling in 2015 and how it would be moving forward.. The Bitcoin price shows favorable signs of its constant growth as it now trades above $400. This amount is about twice the amount registered in January this year. With its value struggling to recover all throughout the second and third quarters, Bitcoin showcased its resilience as it gained momentum up the charts, even almost breaking the $500 marker in December. Remember the largest Bitcoin win ever? A professional poker player identified as Emil “WhiteLime” Patel bagged the largest-ever prize of 470 BTC from joining the Million Dollar Sunday tournament on Betcoin.ag, one of the most outstanding Bitcoin gambling sites of 2015. With hundreds of bitcoins at hand, Patel intended to venture into other online gambling sectors, starting with Bitcoin sports betting. Going hand-in-hand in promoting Bitcoin poker is Americas Cardroom, an online poker site that caters to both cryptocurrency and real money. Accepting Bitcoin deposits and withdrawals starting just this year, the Winning Poker Network flagship poker room has already held more than four tournaments that guarantee a $1 million prize distributed to all the winners. 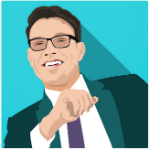 Like the strong appeal of online gaming, there is no stopping Bitcoin eSports from breaking out in the market. Supported by select Bitcoin sports betting sites like VitalBet and Nitrogen Sports, as well as promoted by Leet, Bitcoin eSports betting became one of the hottest trends toward the second half of the year. 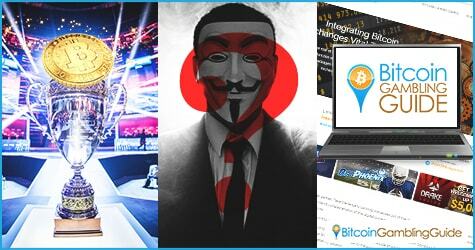 Revealing the identity of Satoshi Nakamoto, also known as the father of Bitcoin, would have been the highlight of 2015. This, however, remains to be a mystery as Craig Wright, the alleged Bitcoin creator, is vehemently denied by Satoshi himself via correspondence. This leaves the Bitcoin community still speculating who the real person or people are behind Satoshi Nakamoto. As Bitcoin gambling continues to make progress, Bitcoin Gambling Guide saw it fit to keep up with the competition by upgrading its services. Adding an option to file a complaint, improving its brand and game reviews, and providing a player-friendly and intuitive interface, the new Bitcoin Gambling Guide stays true to its mission of achieving its goals, as highlighted in various media outlets like Calvin Ayre, Bitcoinist, Inside Bitcoins, and Cointelegraph.